Nowhere can you breathe more freely than on the deck of a ship... so escape to the seaside at your ibis hotel, without fear of capsizing! My crew is waiting for you to climb aboard! The ibis Centre-Ville hotel welcomes you to the shores of the Atlantic ocean in Vendée. This 3-star hotel is 875 yds. (800 m) from the pedestrian streets, the Sables d'Olonne beach, the fishing port and tourist office and offers 61 comfortable air-conditioned rooms. It is close to the TGV train station or one of the town's car parks, so you can leave the car behind for the night or for a longer stay, alone, as a couple or with the family. Discover the town of the Vendée Globe race and the Pays des Olonne. 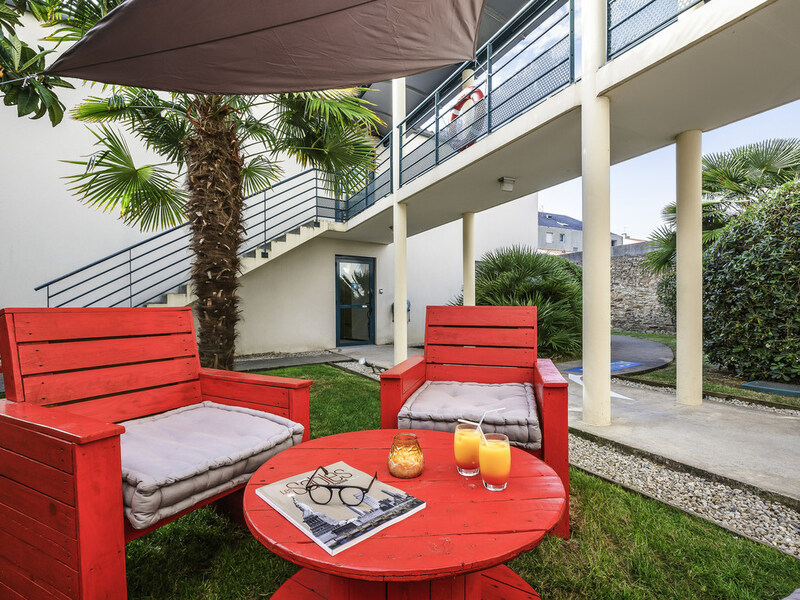 Hotel located beside station, in city center, 5 mins on foot from large beach of fine sand, just a short walk to the fishing harbor and the marina, ideally located for the Vendée Globe and Solitaire du Figaro sailing competitions. 1 hour from Puy du Fou. Beautiful weather guaranteed at least once per day! Enjoy a wide selection of internationnal drinks and beers, along with our 24/7 snack food available at the bar or to take in rooms.